such as with Aspen or Pine. of the stain and helps prevent streaking and blotching to help ensure an even stain. 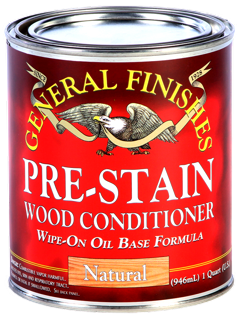 • Natural pre-stain primer to control penetration of stains. • May be used to lighten or reduce the color intensity other stains. • Use as a Stain Base, add universal tints or oil colorants to make custom colors. penetrate as deeply into the wood as liquid oil based stains do. 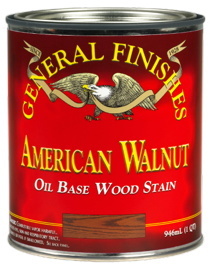 Oil Gel Stains provide the richest colors of any oil based stain available. 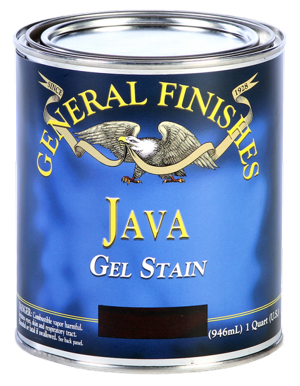 "General Finishes make the professional standard in Gel Stains." in social media for upcycling and refurbishing of furniture and cabinets. Digitized colors shown are for reference purposes only. Always test stain on a piece of the same wood or a hidden area of the project to verify your desired color. which produces a beautiful hand rubbed quality finish. 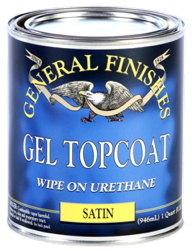 Gel satin is a thicker consistency, eliminating drips, runs or spills. Wipe on with a lint free cloth, natural bristle brush, foam brush, or paint pad applicator. For semi-gloss or gloss sheens, use Arm-R-Seal Topcoat.